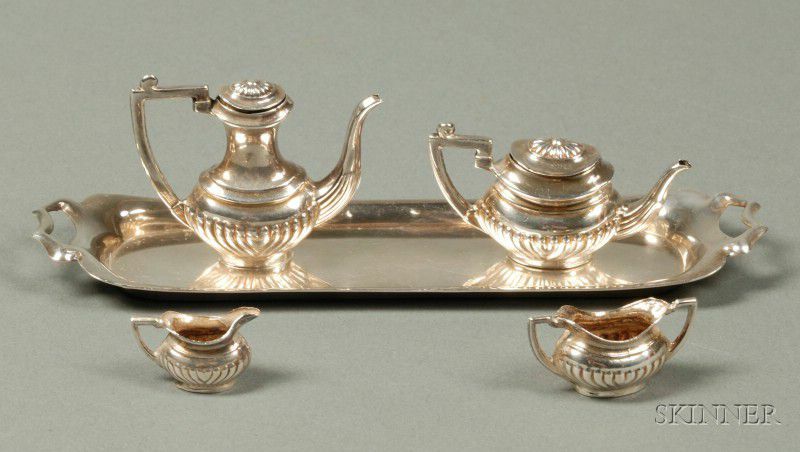 Miniature Irish Elizabeth II Five Piece Georgian-style Tea and Coffee Service, Dublin, 1977, J.M. 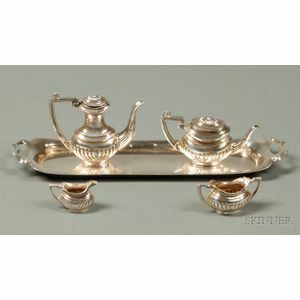 Co., makers, comprising waisted baluster coffeepot, waisted ovoid teapot, open sugar and creamer, all with reeding to lower half of bodies, and an elongated rectangular tray, lg. 5 7/8, coffeepot ht. 1 3/4 in., approx. 3 troy oz.